The phrase "cousins make the best friends" rings true for Queen Margrethe’s 77th birthday celebration on Sunday, April 16. Josephine, six, and Athena, five, were all smiles as they played with each other on the balcony of Marselisborg Palace in Aarhus, Denmark. Much to the amusement of Athena’s mum, Princess Marie, the animated Princesses exchanged laughs as they were photographed hugging and dancing, while making silly faces in the company of the Queen and other royal family members. 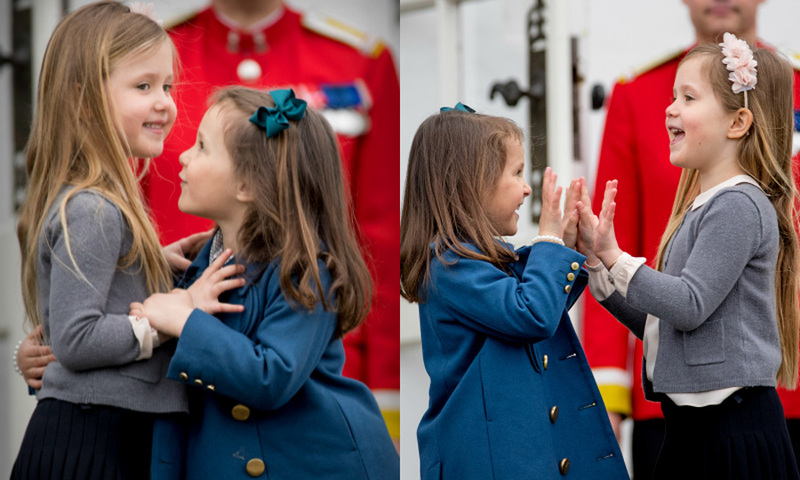 Josephine and her younger cousin also shared a Titanic “I’m flying” moment during Her Majesty’s birthday festivities. 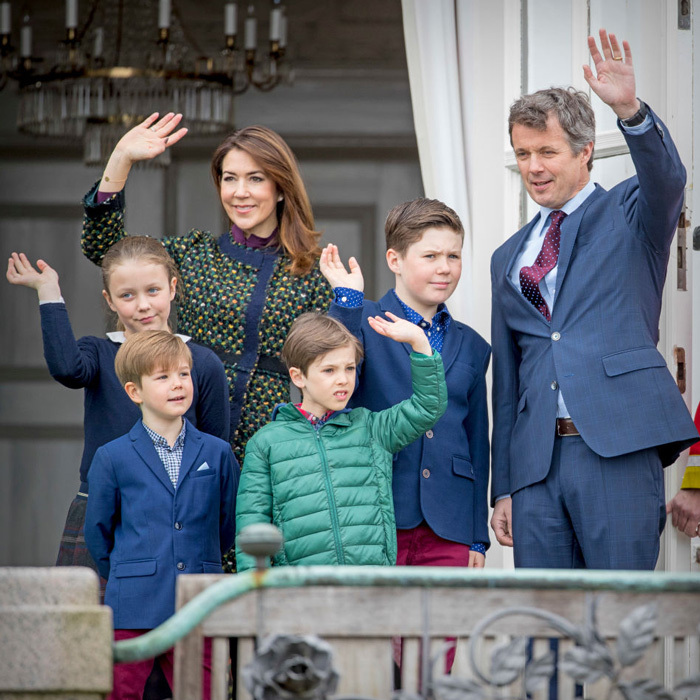 Crown Princess Mary and Crown Prince Frederik’s little girl looked adorable for the occasion sporting a pleated skirt, peter pan collar top and grey cardigan, which she accessorised with a frilly pink headband. Athena, who is the youngest child of Princess Marie and Prince Joachim, coordinated with her cousin also wearing a peter pan collar ensemble and red cardigan beneath a blue coat, which she topped off with a matching hair bow. Also in attendance for the family gathering was Josephine’s twin brother Prince Vincent, six, in addition to their older siblings Prince Christian, 11, and Princess Isabella, nine. While her half-siblings Prince Nikolai and Prince Felix were noticeably absent from the palace’s veranda, Athena was joined by her brother Prince Henrik, seven. Crown Princess Mary appeared to be in good spirits, despite losing her beloved dog, Ziggy, the previous Sunday. The Crown Prince Couple’s canine, who suffered from chronic renal failure and osteoarthritis, had been a part of their family for 12 years and was a wedding gift to Mary and Frederik back in 2004.